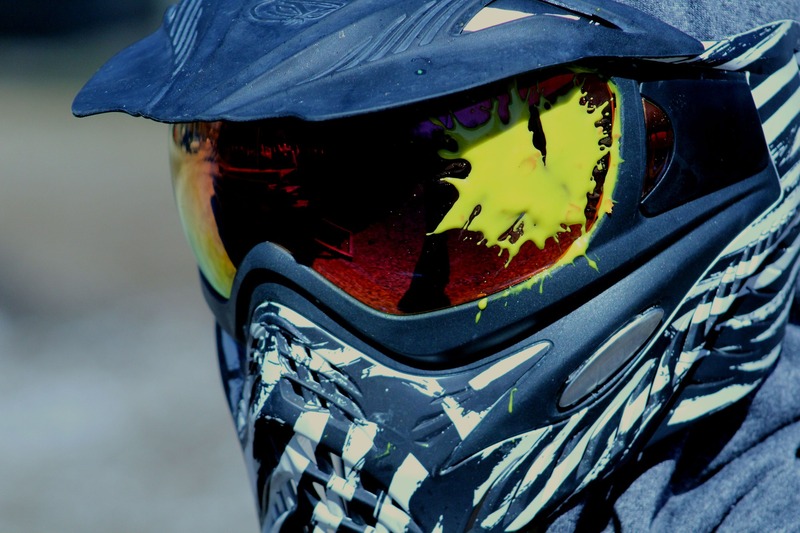 If you’re soon to experience paintball for the first time or plan on attending a paintball event at some point in the near future, it’s inevitable that you might have a few questions before taking part. I’ve put together this handy set of tips and guidelines for the novice player, to help you separate the facts from the fiction before you play for the first time! First things first, once the game is underway, never ever take off your protective face mask or goggles. There’s a reason you’re warned not to do so and a painful eye injury is not something you want to take away from your day. In terms of good practice once you’re out in the game zones, never pick up paintballs from the ground if you drop them, it will almost definitely cause damage to your gun and stop you from enjoying your game. Finally, make sure you always listen to your instructors when they give instruction. Trust them, they know what they’re talking about. Make sure you wear comfortable and relatively loose clothing that covers your entire body. This will not only allow you maximum movability when you’re running around the paintball arena but also offer you a degree of protection. Bare skin will hurt more when shot and makes it much more likely that bruises will form. Any kind of elaborate “body armour” is not necessary, and will do nothing but slow you down and make you a more likely target. The main thing you’ll want to know about paintballing is if it will hit hurt when you get shot. The truth is, it will, but only a little bit. When you get hit by a paintball, it stings rather than hurts and it’s certainly not anything too intense. It also depends on where you get hit of course, with a graze to the arm obviously being a far less noticeable sting than if you are shot from close range in the belly. The important thing to remember though is to not be afraid of getting hit. If you’re going to fully throw yourself into the paintball experience, you might as well accept now that you will get shot at least once. It’s part of the game and happens to everyone. Look at it this way, if it really hurts that bad, would so many people keep going back for more?! 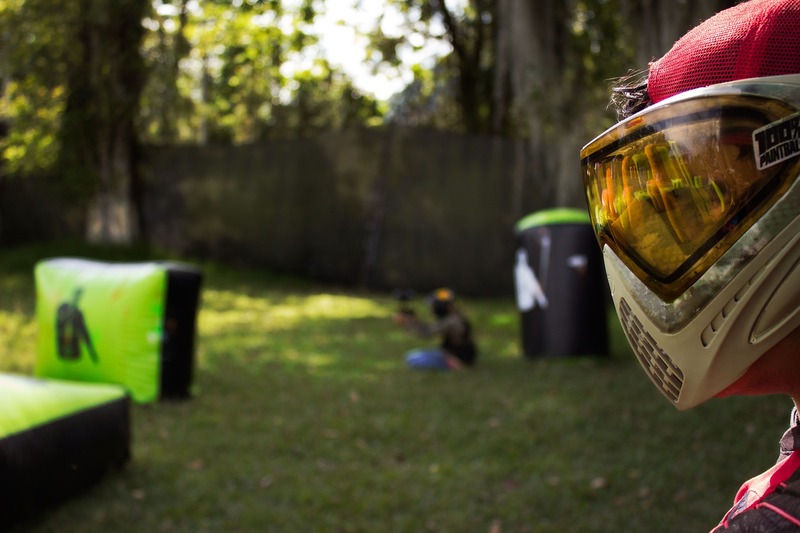 Once the game itself is underway, there are a few choice tips you may want to take on board in order to make the most of your paintballing experience. First of all, as with any team activity, it’s vital that you communicate with your teammates. Make sure you have a clear plan in place and decide where everyone is going to position themselves. Also, holding a position can be incredibly important, so don’t give it away cheaply and only expose yourself if it is absolutely necessary. Make good use of your surroundings, and where possible, fire from round a corner to maximise cover. The most important thing to remember, though, is that above all, paintball is meant to be fun. It can get competitive and of course it can, on occasion, sting a little bit – but it’s a game that’s meant to be enjoyed by both beginners and experts alike. Best Birthday Ever! | Project 52 : 2016 – Week 37	39 Pumpkin Recipes – Savoury, Sweet + Drinks!